In South Africa the school year starts early January and ends in December. We are thus almost ready to start the new year. This is the English translation for a post that I’ve posted yesterday. (If you’d like to read the Afrikaans please click here.) It is a motivational letter to teachers. For posts on this topic that are already on this site please click here. I truly believe that teaching is the best job on earth! I’ve asked Debbie de Jager recently to write something inspirational for us and she exceeded my expectations. If you have an inspirational post to motivate teachers please link up at the bottom of this post or just leave a comment. If this is the way you greet people at your workplace, this letter is especially for you. Next week the bells will ring at our schools again. Why are you going back? “Because it’s my job!” Is that your answer? You are a teacher to other people’s naughty kids or teens and have to get them yet again through another year with a lot of effort and little appreciation. But it’s your job. You’ve chosen this path. I believe that many things in our lives could improve if we would just stop for a moment and ask ourselves a few tough questions. So to get back to my first question: Why are you going back? Or rather, why did you choose to become a teacher? What was your motivation? Let’s be honest, no teenager leaves high school thinking ‘I can’t wait to come back’! So what propelled your life in this direction? We all know it was not about the money… Maybe four holidays? Or could it be a love forchildren, for people…? You see, motivation plays a major role in our lives. Why we do certain things will ultimately determine how we do it. If your motivation is very low, you will not put your best effort into a lesson that you have given twenty times already. If your motivation is very high, you will take that same lesson and present it for the twenty-first time as if it was the first time that you were teaching it to someone. That’s why motivation is extremely important. I hear you and all the other teachers out there who sigh with disappointment and say that motivation left when discipline walked out the door. And life is sucked out of the little motivation left by teachers who compete for position and leadership that shows little or no sympathy and interest. But these realities were not there when you chose this life. And none of these problems should have an influence on your motivation right now. I want to challenge you to go back to the time when you were excited to teach. The motivation, my dear teacher friend, was inside of you – not outside. You were excited. You loved the idea of standing in front of a class filled with kids. You had high hopes for everyone sitting in front of you. I want to challenge you to start the first day of school in 2015 with a difference. Start with a heart full of hope and excitement. Perhaps the following might inspire you for this new school year. 1. You only have 197 school days to enrich the lives of a specific group of people. Yes, those human beings who can’t spell and stare at electronic devices in their hands all day long are the next generation – and YOU have 197 days of their lives in your hands! Stop teaching your subject. Start teaching people. Think of your favourite teacher when you were at school. Don’t you wish that he or she could teach all your subjects? What made them your favourite teacher? 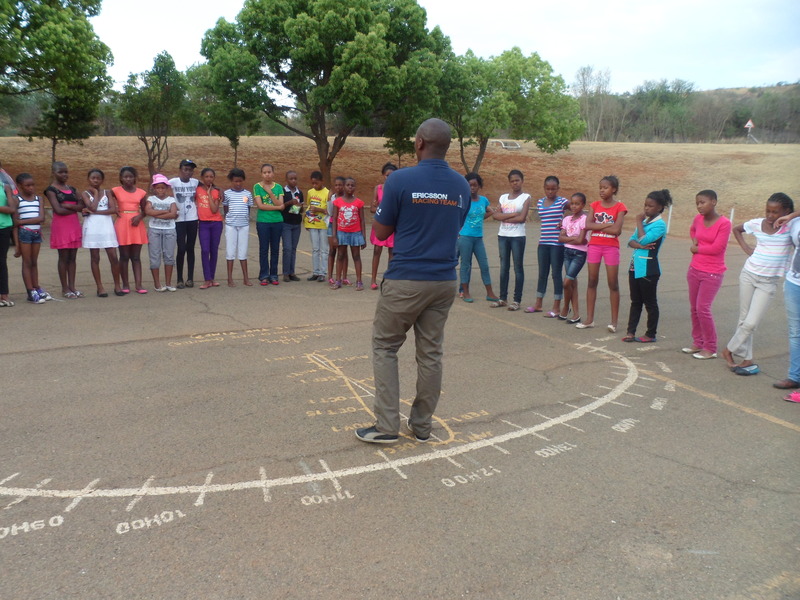 You can become the “favourite teacher” to so many children and teenagers. At the end of each day, ask yourself if your students are better off because they have spent some time in your class today. The answer will tell you whether you are changing lives or just passing time with a career. 2. You don’t know your students’ circumstances. You might be the only adult who truly loves them. Your words and actions will have a lifelong impact on their lives. Yes, they can make you mad and you might have felt like running away when you learned that a certain young man was to be in your class this year! But it’s exactly that child that needs you. Put some effort into changing those “problem” children’s lives in 2015. Pay extra attention and give some love. When you truly love them, it will change their lives. Your anger and angry words will make no difference. It will probably only intensify their hurt. You can be the strict teacher who everyone is scared of or you can be the teacher who changes lives. 3. Each student in front of you has potential. They might not even realize it. Make a conscious decision to see everyone’s potential, no matter how quiet or how loud the child. Your faith in them may be all that they need to become successful adults. The best and most precious gift you can give them is to believe in them when they don’t believe in themselves. Don’t just believe in the 80% and 90% students. Look at your 50% student and tell him you are going to work together to make it 55%! your potential? If you are the same person you were last year, you have not grown. Change is needed! You need to grow. You must go after your potential! You must be a better person and teacher! Your potential should die when you do. Not a minute before. Give your all – to your spouse; to your own children; to your students; to your colleagues; to your headmaster; to yourself. Don’t hold back. Live fully. 5. And lastly, keep passion alive in your heart. I meet teachers on a daily basis whose passion was smothered long time ago. I realize that there are many reasons, but passion is a heart issue. When you have passion for what you do, you don’t need to be motivated – your passion motivates you. In fact, it pushes you. Ignite your passion again and get excited about the opportunity you have to change lives! You are SO NEEDED in our society! We need you! The world needs you! I would like to end with a little story about myself. Year ago I chose a word that I thought completely describes me as a person. Without telling anyone I asked my husband, my mother and a friend to describe me in one word as well. I was ecstatic when they all picked the exact same word I chose for myself! My word is “teacher”. I don’t teach kids at a school, but it’s who I am. I AM a teacher! There is not a day in my life that I don’t teach someone something or learn something new myself. As cliché as it might sound – it’s in my blood and that’s the reason why I wrote this letter to you. My heart beats with passion for teachers and I would love to help you keep your passion alive. On the wall in my study just above my desk I have a quote that inspires me daily: “I was born to serve specific people! I have got to find them!” I want to challenge you to change the way you see every single person in your life. If their paths cross yours, you were born to touch their lives and to serve them. Make it the best moments of their lives and it will inevitably be your greatest. 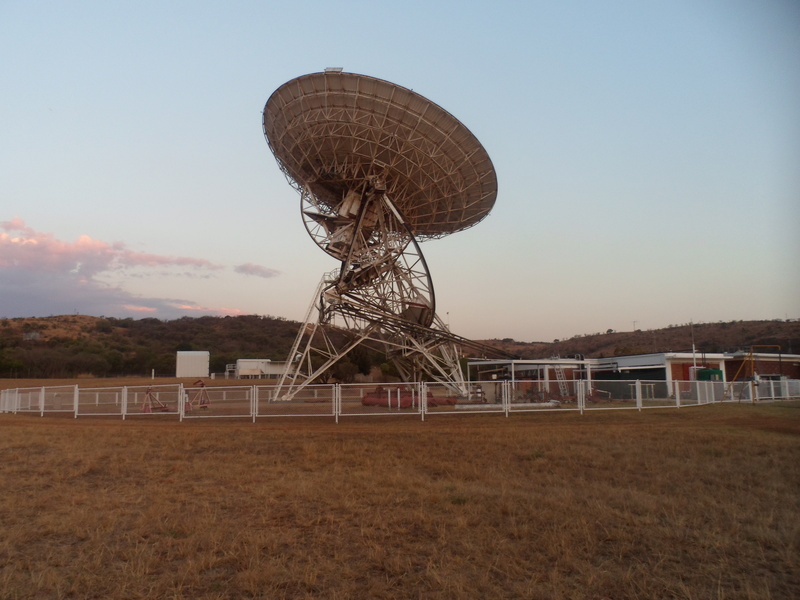 The Hartebeesthoek Radio Astronomy Observatory is located in a natural bowl of hills at Hartebeesthoek just South of the Magaliesberg mountain range about 50 km west of Johannesburg. 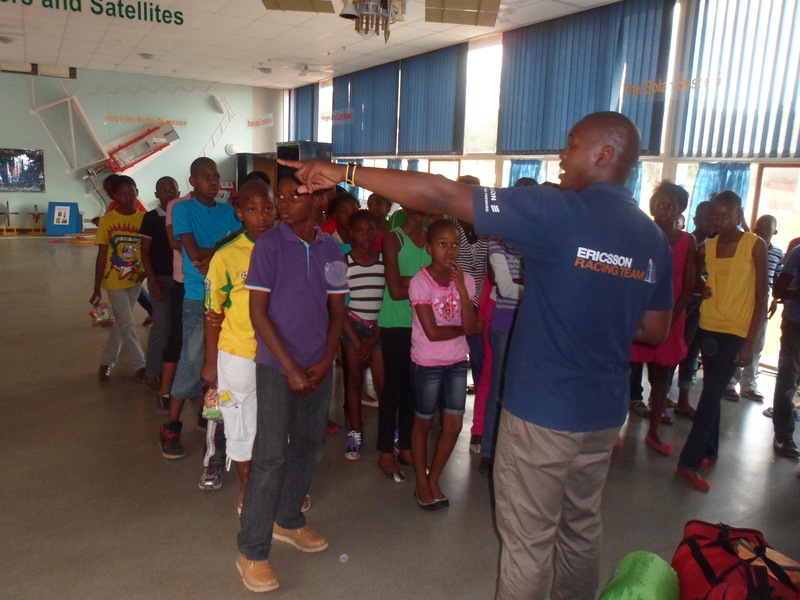 This is a place that I’ve come to know quite well and where many young minds have learnt more about space. 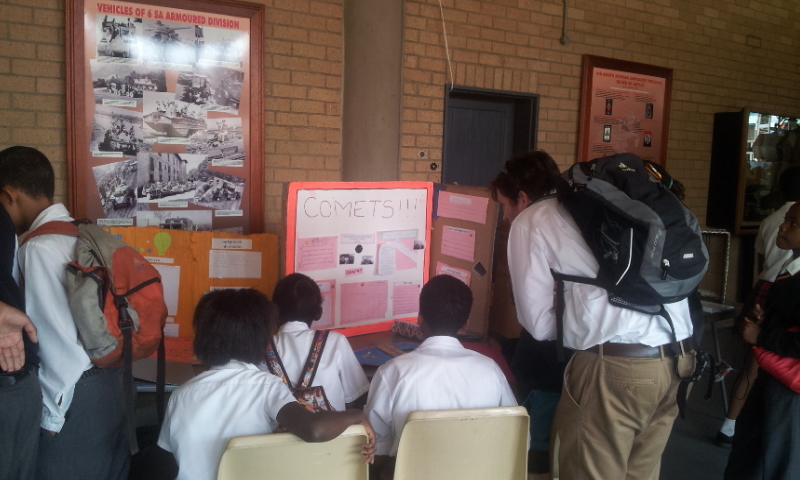 Our Astronomy club has visited this wonderful venue a few times and Mr Simphiwe Madlanga even visited our school and helped the learners with their Expo projects. He is always friendly and helpful and a local hero at school! I’ve added some pictures below of what we usually get up to when we are there. We are headed there again mid-October. Cannot wait! 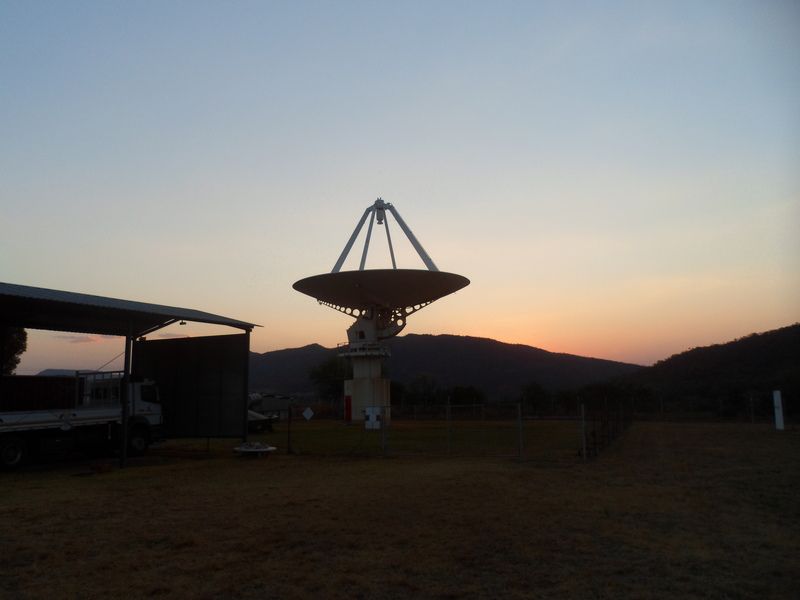 Read more about our Astronomy club here. Yesterday was the BIG day! ScopeX 2014 was finally here! 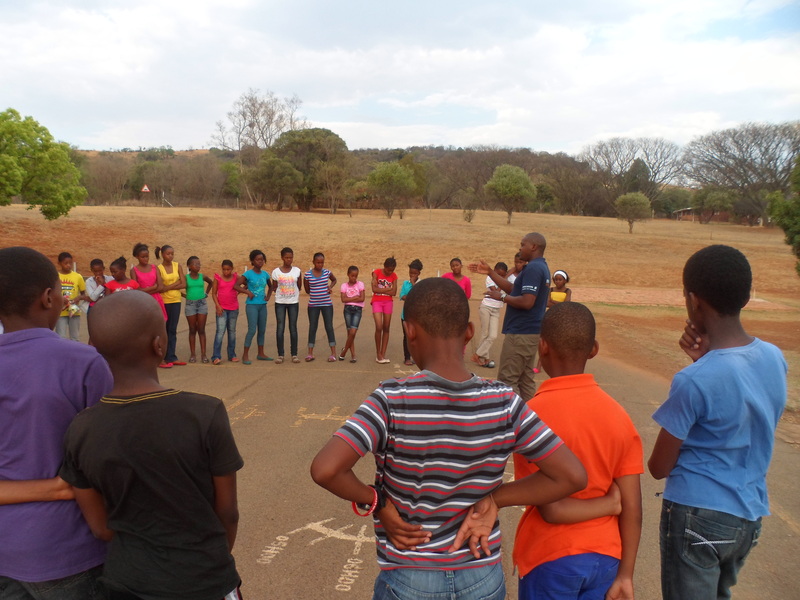 When we arrived there we were met by two guides who guided us professionally throughout the day. First we went to set up our projects. 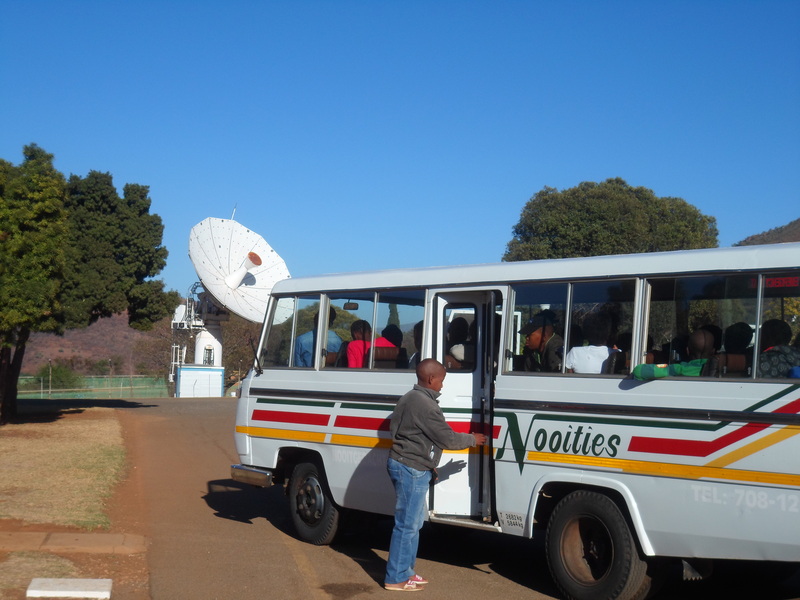 Thereafter we had the opportunity to go into the Sci Bono Mobile planetarium. Inside the ” bubble” we learnt about different planets and even watched a movie about light pollution. It was time to go to the ExperiLab show. We saw various experiments and even saw how “Elephant Toothpaste” is made. The show was very entertaining and insightful. Outside there was a big tent that was changed int a “camera obscura” and also different ways to tell the time using your height etc. 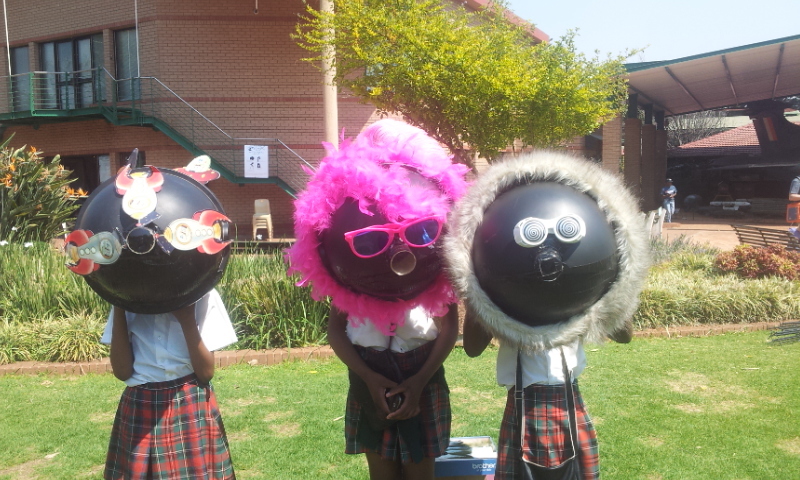 We also saw these interesting dustbins with lenses in them. They make everything look upside down. We also met the lovely people of Suntoy. 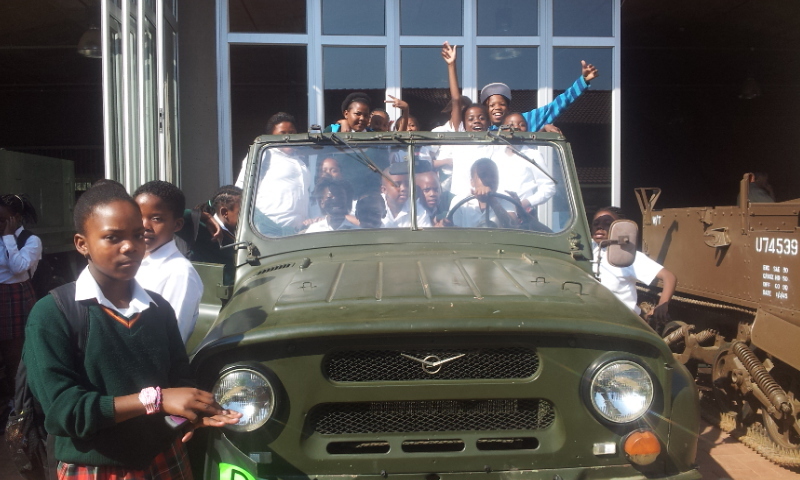 They even gave us a solar car and fan to build at our Astronomy club. I’m sure we will have a lot of fun building it! 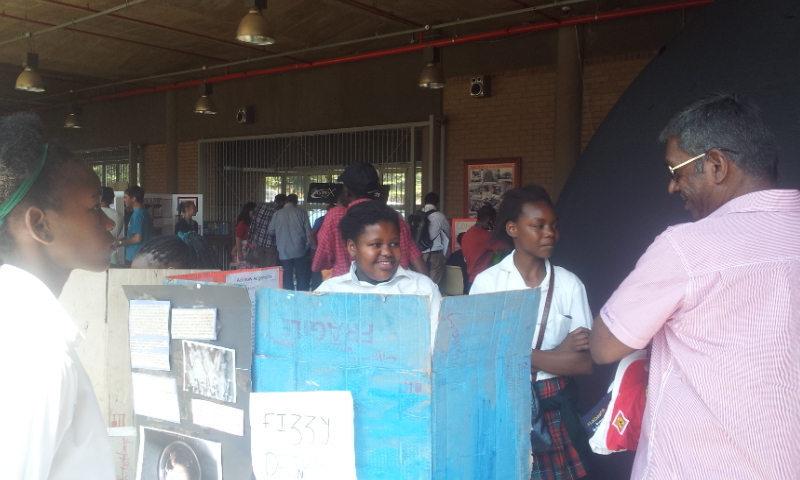 Some learners also entered a raffle at the West Rand Astronomy Association and Luyanda won a Galileo telescope! Thank you so much for the telescope it will be put to good use! Right before lunch it was time for judging. 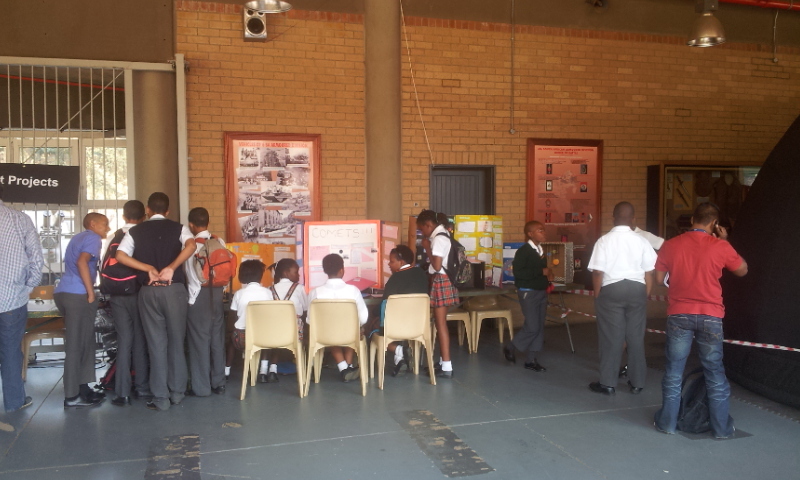 Everyone enjoyed talking about their projects. 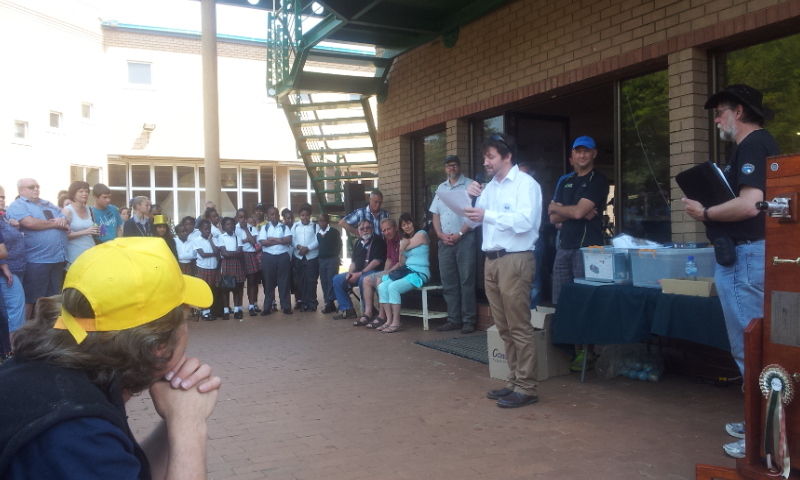 After an amazing lunch it was time for the prize giving and the organizers was so kind as to give everyone a prize. 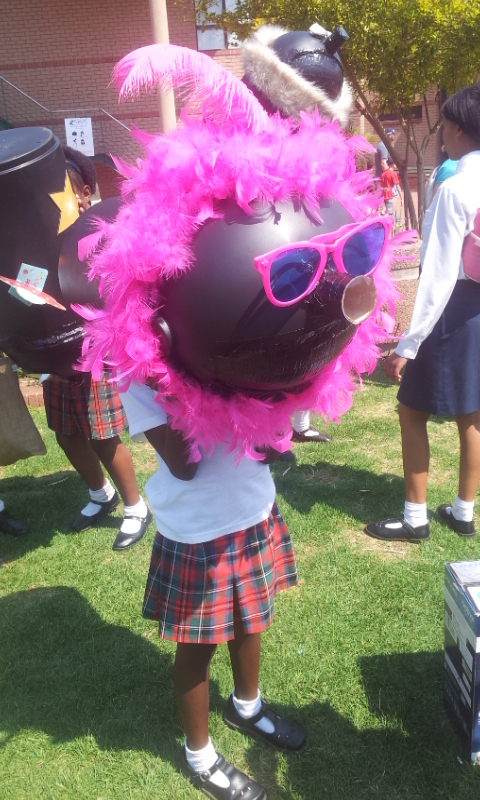 Every learner also received a Suntoy solar jar. 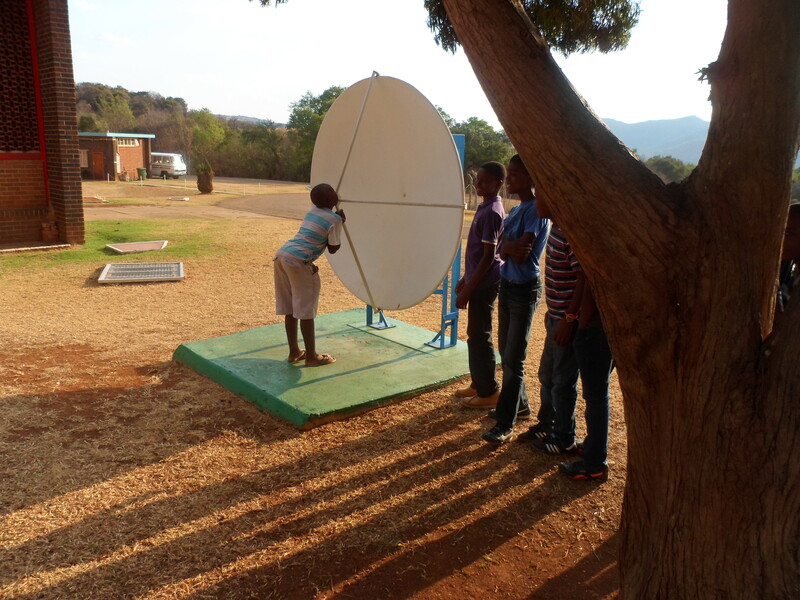 This will come in handy as some learners don’t have electricity at home. 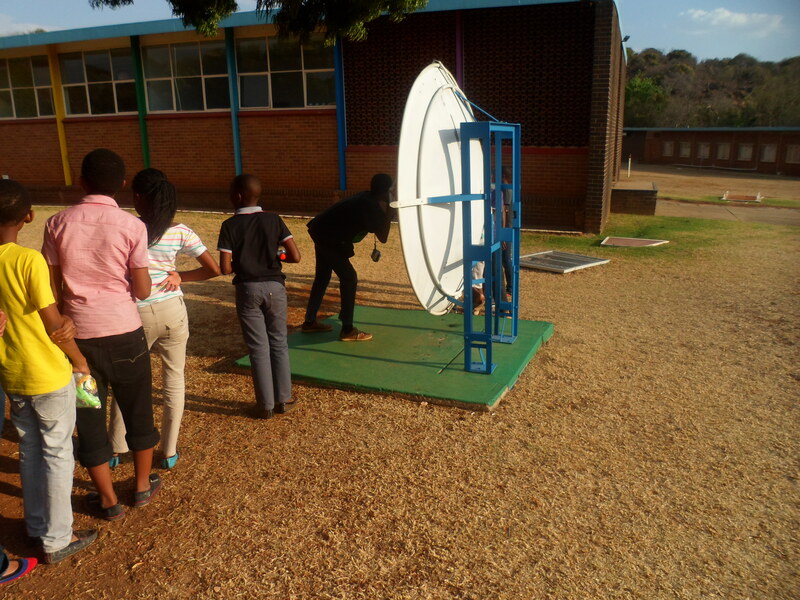 We also received a “Skyscout Personal Planetarium” for our Astronomy club. We will certainly use this when we visit HARTRAO soon. Thank you this will really help us! Rokshana won a prize for her project on planets. Well done! All in all it was a GREAT day and much appreciated. Thank you so much for a well organized event. Thank you to everyone for sharing their knowledge and kindness. I hope we will be invited again next year. You can find the Scope X website here. 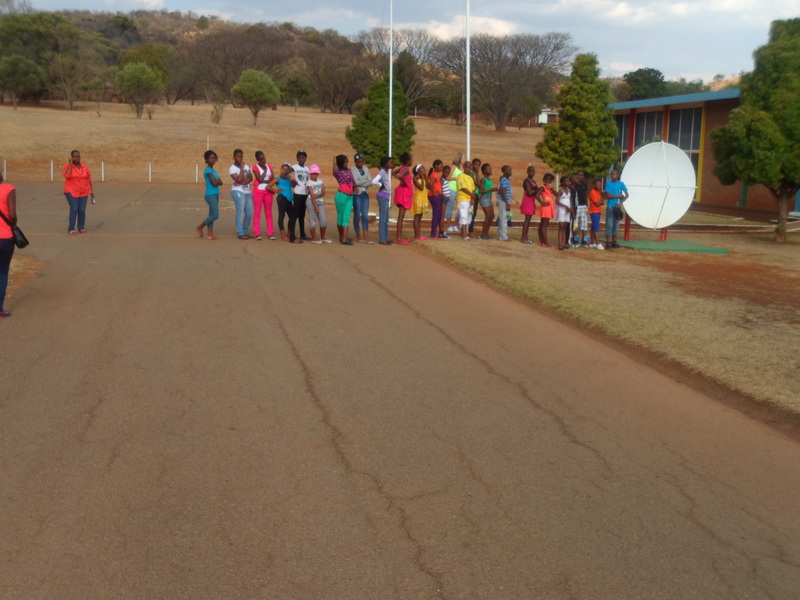 I will be posting more about our Astronomy club here.